Join us at our editorial office in Manhattan for a concert benefiting Better Angels on Thursday, December 13, at 7 p.m. Sage Snider, the Fiddling Historian, and guitarist Andy Roth will present video material and perform in song and dance. 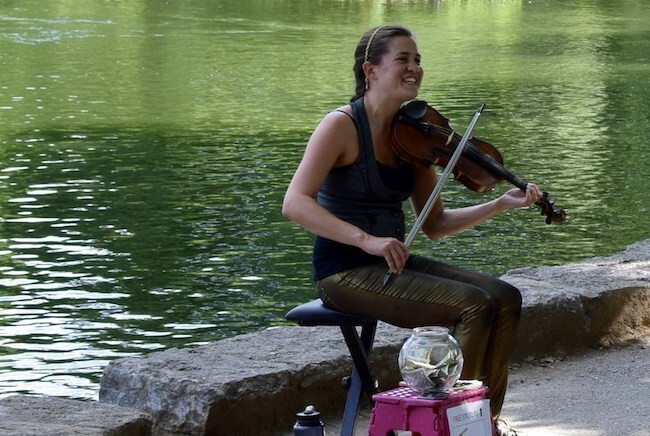 Sage Snider has been studying violin since age three. After specializing in the history of Ancient Greek Music as an undergraduate at Yale University, she studied American Music in the Public Humanities Master’s Program at Brown. Her music and history work have been featured at the Smithsonian, The Yale University Art Gallery, a Providence, RI vocational high school (through the year-long support of Rhode Island State Council for the Arts’ grant), Smugglers’ Notch Ski Resort, and the Brown University Folk Festival. Founded in 2016, Better Angels is a 501(c)3 that aims to bridge the national political divide by bringing “red” and “blue” citizens together in a moderated workshop environment. While there are similar discussion organizations, Better Angels is unique in their focus on the issue of polarization in the public square and in their efforts to build a national, grassroots movement. They are also building a media and scholarly network and increasing efforts to target policy makers.